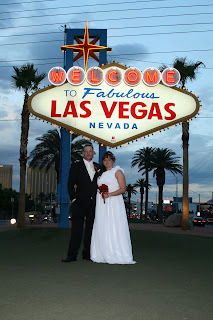 We got married 2 weeks ago in The Chapel of flowers in Las Vegas. Im so Happy \(^.^)/ !!! The Day couldnt have been more perfect, im just so glad my life isnt evolving around working my arse off saving money and not having a life, our lives can now begin!